We will have all new T-Mobile myTouch 4G for sale on November 3, 2010. This phone is the second 4G phone offered by T-Mobile and is the best smartphone yet. Want the cheapest price online – you’ve got it. 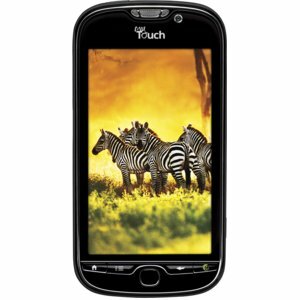 You can have this 4G myTouch smartphone for only $149.99 after instant discount when you sign up a new plan. There is no need to wait on line in you local stores and they can’t match our online exclusive price. The specs on myTouch 4G better than anyone else. I am particularly impressed by the large screen and HD video output to HDTV wirelessly. If you are still with iPhone or any other 3G smartphones, it’s time to upgrade to the latest technology. The 4G speed is lightning fast. Streaming music, video, or downloading apps will only take seconds instead of minutes. In addition to Black, myTouch 4G White and myTouch 4G Red is also available for online order. Make sure you get up early on November 3rd and get this TMobile myTouch 4G while it’s on sale.